This statistic illustrates how people choose books in England in 2013. 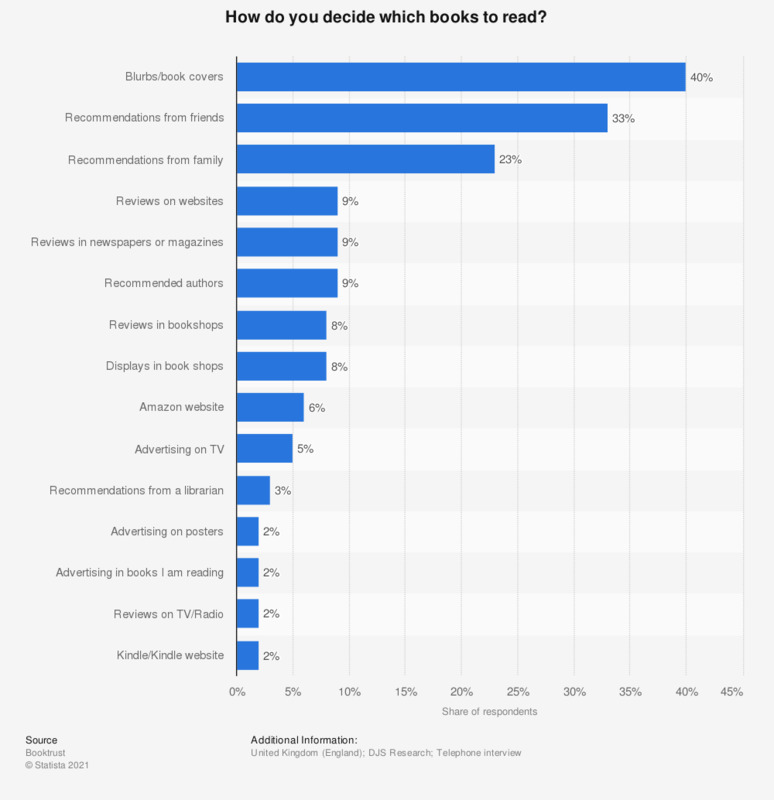 Among respondents, 40 percent reported choosing books based on blurbs and book covers, while 33 percent relied on recommendations from friends. Respondents could give more than one response.